I just posted a picture of my bar here, but over the weekend, I found a replacement. 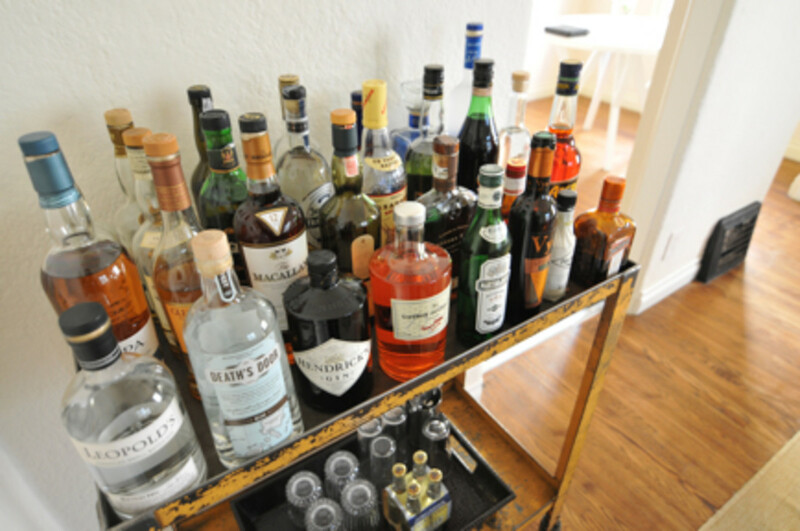 I&apos;ve always loved the idea of a formal bar with character, and this industrial shop cart does the trick (especially for $60 at the flea market). The paint is chipping and it&apos;s on wheels (I highly doubt I&apos;ll ever roll it around for thirsty guests) and it balances out our rustic dining table nicely. 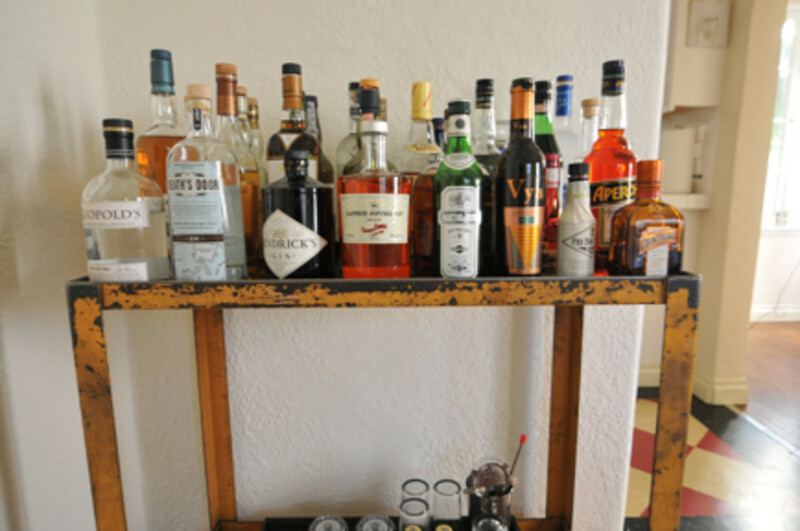 We don&apos;t drink every night, but at least we&apos;re well stocked to last us (and our friends) through the holiday season. 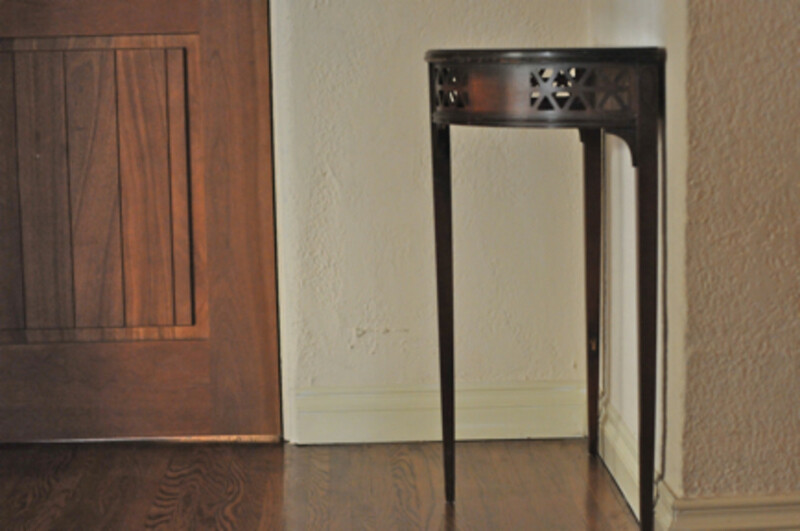 Another vintage score was this console table ($30) that fits our awkwardly-sized entryway. 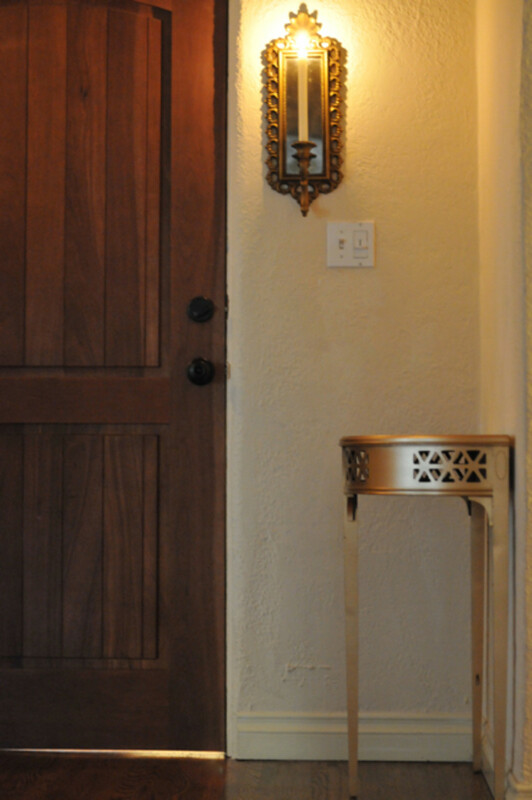 The wood was chipped and uneven, so I simply spray painted it a glossy gold.